Dr. Bo Wat graduated from the Loma Linda University School of Medicine, where he also completed both his internship and residency program. He is specialized in Pathology and board certified in Anatomic Pathology. 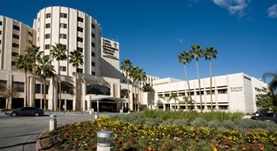 Dr. Wat has been in practice for more than 20 years and is affiliated with the Loma Linda University Medical Center. During his career, he has also contributed to five publications of medical interest. Dr. Bo Wat has contributed to 3 publications. Pathologic quiz case: a 55-year-old man with chronic maxillary sinusitis. Synchronous occurrence of Aspergillosis and myospherulosis. Syed, S. P.,Wat, B. Y.,Wang, J.; Arch Pathol Lab Med. 2005 Mar. Tri-iodophenol (Triophyll) in the treatment of bladder and urethral infections. WINTER, C. E., BARNES, R. W., WAT, B. Y., ELGIN, J. C., LYONS, J. B.; J Natl Med Assoc. 1956 Jul. Papillary carcinoma arising in a thyroglossal duct cyst. Wigley, T. L., Chonkich, G. D., Wat, B. Y.; Otolaryngol Head Neck Surg. 1997 Mar.